This alone is a good sign, but it is not a sure thing. You are probably one of a few candidates they have narrowed their list down to. The second interview process is longer, lasting anywhere from two hours to a whole day. It could include testing, lunch or dinner, a facility tour, as well as a series of interviews with various employees. You should come away from the second interview with a thorough understanding of the work environment and job responsibilities and have enough information to decide on a job offer should one be extended. One key to impressing the interviewer is a good memory. Ask questions that follow up with a previous conversation, proving your interest, and good memory. At the same interview, you should also be gathering information about the job, future career opportunities and the organization to determine if the position and work environment are right for you. The Avjobs Applicant System has an Online Interavtive Practice Interview to help polish your interviewing skills. Spending 30 minutes a week practicing your interview skills is critical. The staff at Avjobs along with other industry wide personnel offices agree, the interview can make or break an applicant regardless of experience or training. It has been the experience of Avjobs and its employees that there is a "best" preparatory procedure for interviews. 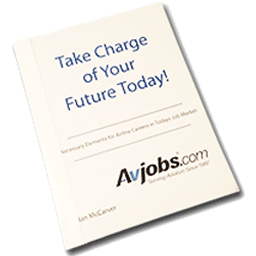 The Avjobs Online Interavtive Practice Interview section describes this preparatory process and provides tools and tips for you to be at your best. The Online Interavtive Practice Interview includes audio, video and hundreds of sample questions. So turn up your sound and practice those interview skills. We Are Hiring! Lots of Opportunities! Learn More Details and Apply Today! Support Tactical Air's Air Operations fleet of fighter aircraft! Apply Now! Check Our Job Openings! Positions Available Immediately!